The recipe for Florim USA's success is simple: Combine age-old Italian craftsmanship and modern production processes. 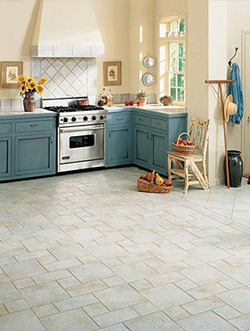 Add seasoned executives with more than 200 years of tile-marketing know-how and manufacturing experience. Mix in world-class design. Blend Italian style with American innovation. The result is the world's finest tile—and one of the world's greatest tile companies. All Florim USA products are manufactured at a state-of-the-art plant in Clarksville, Tennessee—the largest single-site tile manufacturing facility in the United States. Our IS0-9001 certified plant utilizes advanced technologies, equipment and systems. Although Florim USA is a big company, it focuses on the needs of its customers with personalized service. Florim USA's three brands are represented by individual sales teams—teams made up of knowledgeable, accessible tile professionals. In addition, each brand is backed by exceptional marketing and merchandising support, creating a complete sales program unparalleled in the industry.